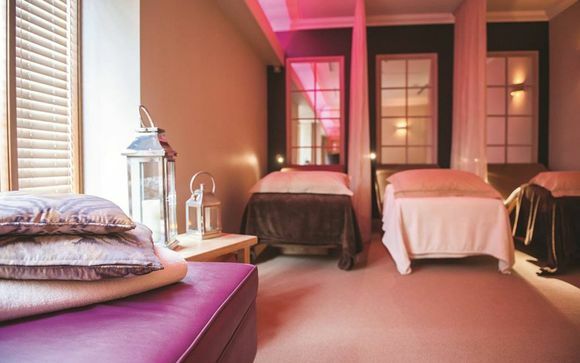 Opt for a spa getaway with a gastronomic twist in beautiful Knutsford, Cheshire. Members will enjoy a romantic Bed and Breakfast stay at Cottons Hotel & Spa with a bottle of rosé wine and access to the relaxing spa. Choose from three offers that gift members with spa treatments, an afternoon tea, and dinner allowance at the AA Rosette-awarded restaurant. Situated on the cusp of the Northwest, Cottons Hotels & Spa is a retreat that boasts proximity to some of the area's best sights. 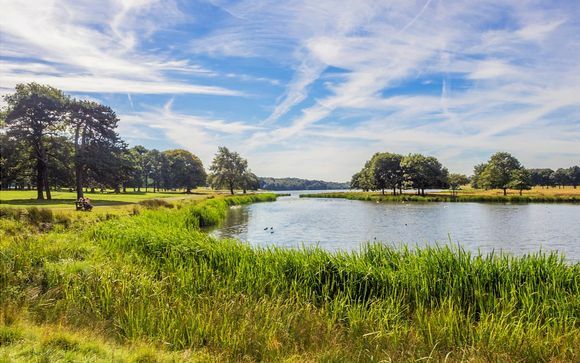 Tatton Park is ideal for long strolls, where you can while away the hours exploring Tudor Old Hall, a Neo-Classical Mansion and 50 picturesque acres of landscaped gardens. Go Ape Delamere, within Delamere Forest, is a woodland space full of adventure for families, whilst Manchester's National Football Museum is ideal for sporting fans. With golf courses and endless acres of nature to explore, the hotel is surrounded by attractions that appeal to everyone. Cottons Hotel & Spa is an elegant mansion-style property bedecked in contemporary decor and elegant interiors. With cosy rooms, a traditional atmosphere, a relaxing spa and an award-winning restaurant, this refined hotel is ideal for a refreshing yet indulgent spa getaway. The spacious spa features a pool, sauna, steam room, whirlpool and outdoor hot tub, alongside a fully equipped fitness centre, tennis courts and eight treatment rooms. The highly trained professional therapists will ensure you feel pampered and relaxed whichever treatment you opt for - from aromatherapy massages and reflexology to facials and body wraps. The AA Rosette-awarded restaurant is not to be missed, boasting fine dining cuisine that uplifts your stay at the Cottons Hotel & Spa with a cherry on top. An ideal place to relax in after a day of exploring, the Signature Rooms are furnished for a laid-back atmosphere. 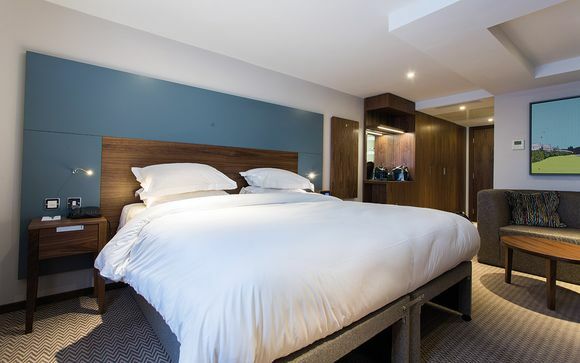 With cosy bedding, sumptuous quilts and a choice of feather and down or non-allergenic pillows, you're guaranteed to have a restful and luxurious sleep. Offering an seasonally changing menu filled with dishes that hone in on local ingredients, the restaurant highlights the best of the North West. The dedicated chefs create sumptuous three-course dinners that have won the restaurant an AA Rosette. The spa at the hotel is the definition of an escape. Feel at total peace and far away from the hustle bustle at the Spa, where the expansive pool, giant outdoor hot tub, whirlpool, sauna, steam room and solarium awaits. Relax and rejuvenate with the help of the expert therapists, using the very latest techniques and sumptuous yet natural products. Choose from one of the incredible treatments and tailor your spa experience to suit your needs.